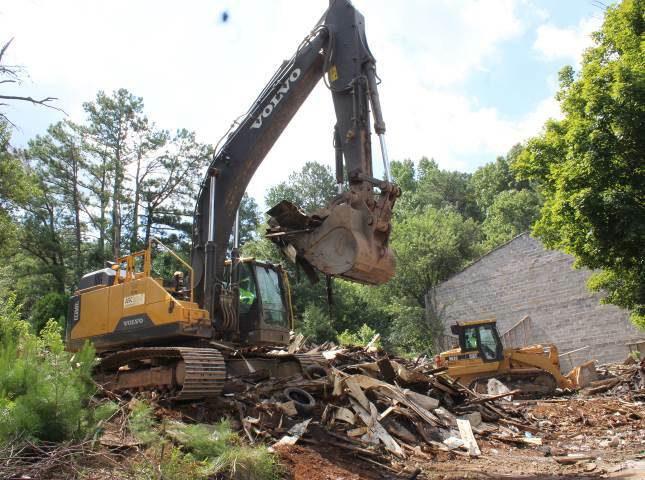 DECATUR, Ga. – DeKalb County removed 769 tons of debris away from demolished buildings at Brannon Hill Condominium in Clarkston on Thursday, July 13. Crews will continue clearing into the evening Friday to complete Phase I work at the site. Thursday’s progress was made utilizing 26 employees working a combined 272 hours with 28 pieces of heavy equipment and dump trucks. 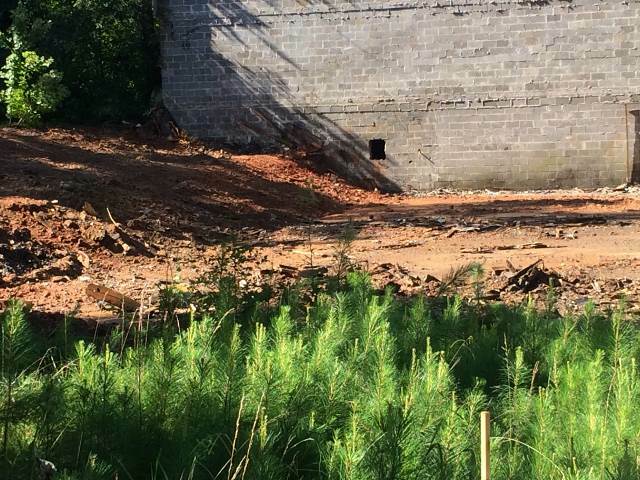 Trucks removed 88 loads of debris to DeKalb County’s Seminole Road Landfill. Before (top), DeKalb County Sanitation crews work to clear debris from a demolished building at Brannon Hill Condominium. After (bottom), 769 tons of debris is removed so far. Built in 1973, more than 100 units at the complex are vacant and in various states of disrepair. On Nov. 18, 2016, DeKalb County obtained a court order allowing nuisance abatement in Brannon Hill at four buildings totaling 68 units. Phase I of the cleanup includes removing debris from two buildings (28 units). Phase II will occur later in 2017, when DeKalb will identify and award a contract to demolish and remove debris from the other two buildings (40 units). This project utilizes approximately $400,000 in federal Community Development Block Grant funds.